Obama is popular here in Indonesia. That he once lived in Jakarta and is a black man leading a superpower nation are a source of inspiration for many I’ve encountered. “He gives hope to people with dark skin” a student from the university once told me. So then, it is no surprise to me that they know his old campaign slogan. Our class discussion led me to say in Spanish, “Si se puede!” This phrase also has some deeper cultural meaning in the US, which is too complicated to explain to my class right now, but is relevant to talk about what we can do. Ever eager to translate, the students told me the meaning in Bahasa Indonesia: Kita bisa. Then, as they are Batak people, it was also offered in Batak: hita boi. Sometimes too much translation gets in the way, but this is helpful—hopeful even—to them, and also to me, as I learn their languages. We can do it. Yes we can, messages of encouragement and hope. 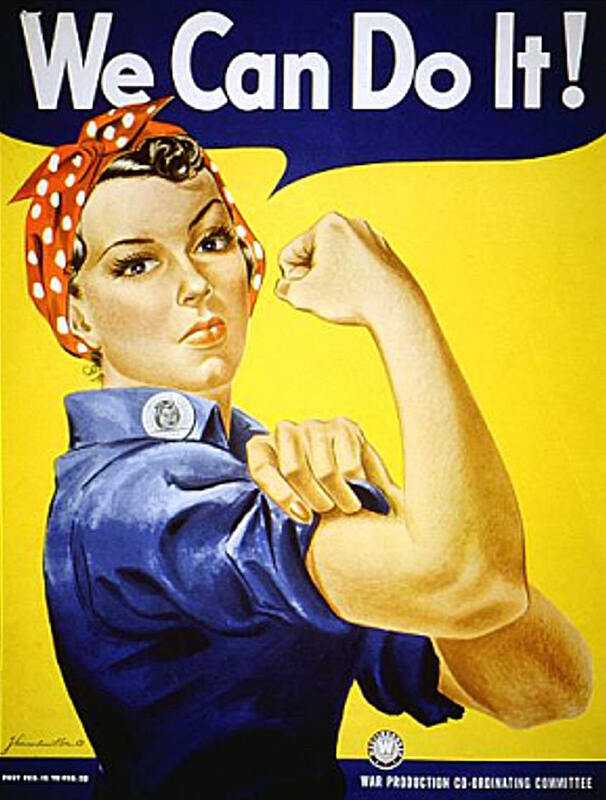 Like the current pop-culture use of this poster from the WW II-era, the phrase “yes we can” is meant to empower. This is my hope for my students, that they feel empowered and able to speak English—that they can speak English. My response now: Yes you can. Ya, kamu bisa bahasa Inggris, adik! But maybe better if we do it together: Hita boi.